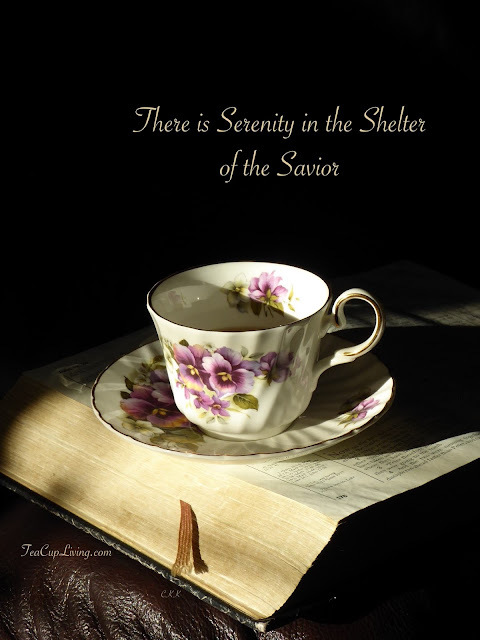 TeaCup Living (TCL) is where hospitality begins and fellowship overflows. TCL is a place to pause in peace, steep in scripture, and be encouraged in how to practice simple hospitality. TeaCup Living (TCL) is committed to respecting and protecting our reader’s privacy. Emails from us are for receiving blog posts or announcements pertaining to TeaCup Living events. We do not and will not spam your mailing address. We do not advertise on TeaCup Living. We will never sell your personal information. TeaCup Living is hosted on Blogger which means Google's use of certain Blogger and Google cookies, including use of Google Analytics and AdSense cookies, and other data collected by Google. This means they gather the number of site visitors and the number of visits to each page. These numbers are collected not to identify a specific person but for TCL website hits history. TCL never collects personal information without your consent. Information may be requested when a speaking event or conference presentation is being booked per your request for key contact person, telephone number, email address, and location address. These details will never be shared yet are needed to serve your specific origination’s needs and to fulfill your specific requests. Your information is never sold, rented, or leased. Our desire is to serve you with the highest integrity and professionalism. Therefore, we never intend to send posts or unwanted information you do not want. You may unsubscribe at anytime. We respect your wishes. Thank you for visiting TeaCup Living. Carolyn, I just sent an email to your Gmail account. Thought I would also touch base here. Would you be available to speak here in Lumberton, NC, for a conference in May 2019? The conference will be Saturday am and possibly an event on Friday evening in a local hotel conference facility. The date is not firm for May depending on your availability. Hope all is well with you and your family. Looking forward to speaking with you in the near future. Carolyn, I have located a space for the conference. I would like to schedule the location soon as there are not many in town and make a reservation for the hotel rooms. Are you available to come speak May 4, 2019? I would like for you to share your testimony unless God leads you in a different directions. What else do you need to know at this time?